Ultra HD 4K television content is still pretty minimal across most of the world, but over in Japan they’re already testing 8K video. Public broadcaster NHK has started "Super Hi-Vision" broadcast tests that send out both 4K and 8K programs via satellite. 8K’s 7680 x 4320 resolution is four times that of the 4K standard and 16 times the resolution of Full HD. But NHK’s system isn’t just a treat for the eyes – it also supports 22.2 channel sound. The satellite channel will show a mix of 4K and 8K content and will mostly consist of pretaped clips, including 8K test footage from the London 2012 Olympics. There will also be a live broadcast of the opening ceremony from the Rio games along with 130 hours of 8K footage shot by the Olympic Broadcasting Services (OBS). The channel, which will also show concerts, documentaries, and the arts, will run from 10 am to 5 pm. 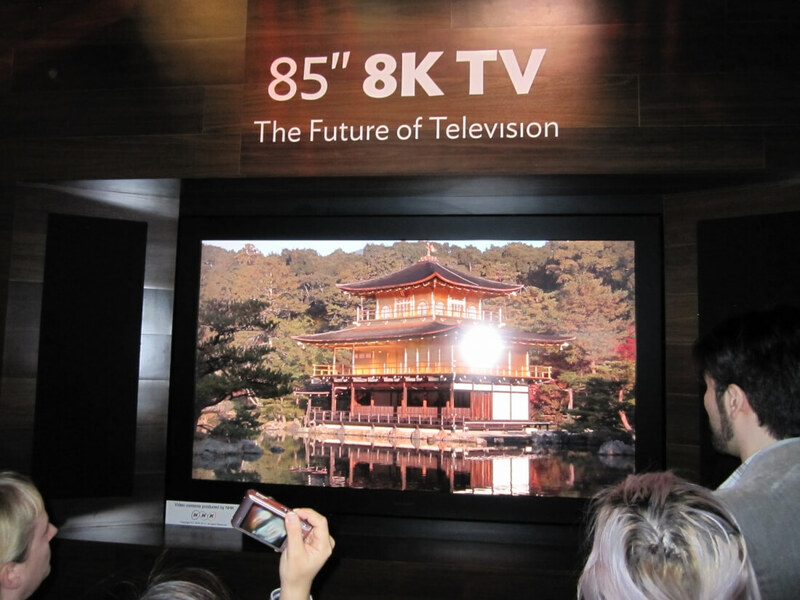 It's not available in homes right now as the receiving equipment isn’t available to consumers - though Japan is the only place that sells the $133,000, 85-inch 8K Sharp TV - but NHK will be holding public viewings of the 8K broadcasts in six venues in Tokyo and Osaka. NHK is conducting these tests in preparation for the 2020 Tokyo Olympics, by which time it hopes to offer full 8K transmissions across the country. The broadcaster has always been ahead of the pack when it comes to new television technologies; NHK presented an early analog version of a High Definition TV system in the 1980s, and its first demonstration of the 8K format was back in 2002.